Cameron Davis was born and raised in the LDS faith and both sides of his family are multi-generational Mormons. He went to college at Utah State and began studying both philosophy and religious studies. He learned in those classes that early Christianity did not look like Mormonism. 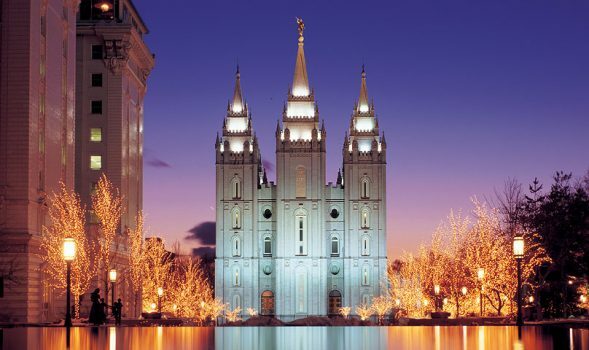 It became clear that Mormonism was a post-enlightenment and particularly American faith rather than a faith that was connected to early Christian or Jewish worldviews. It was this contemporary focus and lack of a connection to the past that led Cameron to lose his faith in the Latter-Day Saints. So Cameron began searching. He soon embraced Catholicism and was ready to be baptized. However, during one of his class sessions the instructor made mention of Orthodoxy. So he kept searching and a couple of years later he decided to call the Orthodox church his home and be baptized in 2014. Sometime when someone converts from the faith of their family and friends it can be difficult. But Cameron found his family to be more-or-less tolerant of his decision, and over time they have been understanding of his decision. He never received any condemnation. Some have even followed in his footsteps and converted themselves.